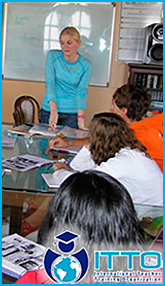 To attend ITTO’s Teaching Practices, you must have finished your 100-140 Hour TEFL TESOL Course. Have a TEFL, TESOL, or TESL Certificate of at least 120 hours issued by ITTO or another reputable institution. Subject to the review of ITTO. Be 21 years of age or older, at time of start of assignment. Have a 4 year college or university degree. Have a valid passport. Although only a tourist permit is required to enter Mexico. Traveling abroad on a passport is always better. A passport is also necessary for processing your work permit, which will be issued by your employer once you are hired. Important Note: ITTO does not help in ANY visa process. It is the enrollee’s responsibility to research the visa process and issue own visa. Applicants must be myriad-minded, flexible, independent, and in good health. Must enjoy working with children, teens or adults, at either schools, language centers or in-company. Be available to work mornings and/or evenings. Submit updated cover letter and resume (C.V). Upon request, we may provide formats for you to adapt your own. Be able to commit to a job for at least 6 months. Have 5 different options anywhere in Mexico. These must be different States within the Mexican Republic. Be aware that some schools may require 2-3 weeks of paid training to learn their curriculum before you actually start teaching real EFL students. Keep in mind that we start the job placement process from the day you submit your deposit; nevertheless, landing a teaching job may take up to 4 weeks after graduation, depending on the hiring period and available job offers at that time.